Another semester learning about EdTech is in the books! Apart from all of the great presentations covering presentation-formats, assistive technology, assessment, the evolution of the web, educational media and several more… there were several major ideas that stuck out. EdTech has developed over time to continue to engage people. EdTech continues to develop and as educators we have to as well. There are several different theories of education that are inherent within different forms of EdTech. Those who create these technologies possess a significant amount of power in determining the direction of student learning. EdTech can both act as a means to bridge learning gaps yet widen the digital divide. Some forms of EdTech are meant to entertain. Entertainment leads to engagement which leads to learning. Therefore: EdTech is and has always been about us and our learners. For your viewing pleasure, “Learner”, a remix of “Closer” by The Chainsmokers feat. Halsey. History of Edtech is our topic, okay? but I forgot to tweet you again. Theory is where we start. So let me tell you more about how education’s grown. And I will always be an engager. EdTech’s all about our learners. And we are all a bunch of learners. And I will always be a learner. So Alec tell us more sir, bout EdTech and bout our learners. How to help who can’t afford? Is real even real anymore? And EdTech keeps us all learners. EdTech is all about our learners. Augmented and Virtual Reality (AR/VR)! First off, thanks to Bill for being a great presenting partner. I thought our teaching styles complimented each other very well. Next, I wanted to provide something new to the #ECI833 readers than what we had presented about… and that is my experiences and subsequent beliefs, biases and views towards AR/VR. And for those of you coming in with pre-existing notions about the “uselessness of gaming” (yeah, you, Jayme. Your husband’s a good guy! ), I got a class devoted to game creation and gaming’s power for learning that would beg to disagree! A student was playing Ingress (an AR game) in my class last year after completing his work and, prior to reminding him he still had more work to do, I listened to him mention that the company that made this was planning on making a Pokemon game… since I was partially raised in the region of Kanto (this is a location in the original Pokemon Red, Blue, and Yellow games), I patiently waited. My wait was almost rewarded as the official release of the game was in summer 2016… in the United States… still unavailable to the Canadian public. Fortunately, I had an AP Conference in Anaheim, CA. Let the Pokemon catching begin. The young Logan was ALIVE and, surprisingly, with the augmented reality, viewing my surroundings with creatures of my childhood, I soon connected with strangers and with my environment. Adults. Youth. Men. Women. I met and talked with strangers, I learned about locations in and around Anaheim, and I had fun. I was engaged. Interesting. I! WAS! BATMAN! I PUT ON THE BAT SUIT, GAUNTLETS, TESTED OUT THE BATARANG, AND I HUNG OUT WITH ALFRED! Then the implications came, and I was almost overcome with emotion. Perhaps place-based learning in a Saskatchewan classroom is possible for more than four months of the school year… this could change my environmental science 20 class! But it’s not reality… or is it? If it’s not reality… is that okay? I would be inclined to argue that reality is subject to what we make of it… a virtual reality, though digital, is still reality nonetheless. Are we ignorant to accept it as real or toy with our brains to escape reality? We have built other devices to better observe reality (telescopes, glasses), why is this different? At least we’re not in the matrix… or are we? At least robots aren’t simulating this reality for us… but who is? Who is creating the reality for us? Angus elaborates with detail on the potential for misinformation and personal agendas made possible through these wildly interactive realities. Ultimately, the uses for AR/VR are whatever we can imagine and create, with some concerns of spam, privacy, . Some of it is available for free; apps like Aurasma can be used in our schools to augment the reality of your classroom. Others with more intense experiences with virtual reality headsets are available in a wide variety of styles and processing power. The industry presents a limitless potential for incredible learning. All of this predicated on the large assumption that you are wealthy enough to purchase a device that makes it possible. So, if you can, go get a headset and immerse yourself in a whole new world. If you can’t, then, education system, let’s work on making this possible. What are your thoughts on AR/VR? Comment below! The awkward and anxious, share. Assistive technology is an enormous umbrella term. We think of devices developed to help the “disabled” typically as assistive tech (devices), but then we are inclined to extend the definition to include even adaptations in the classroom (services). But where is the line? If we include differentiation as assistive, do we include adaptation? There are extensions of the technology definition to include ideas and classroom practices so I should… but, wow, including that wide definition of technology with a wide definition of assistive tech will that be a infinitely inclusive term. When we consider the definition of assistive technology including means to maintain, increase, or improve the functional capabilities of a child with a disability… it feels like everything in a classroom will be included. As such, what responsibilities does the school and education system bear to make this happen? What counts as a disability warranting support? If we include supplying devices in a BYOD classroom to those who have them, who is obligated to supply this? Today, many schools must include WiFi, is this now a mandatory “assistive technology”? This ridiculously inclusive approach now also breaks down the illusion of limitations provided by assistive tech. Why is it simply an illusion? Circling back to the concept of a growth mindset, assistive technologies are constantly being developed and improved for all types and abilities of students/individuals. The strides made in hearing aids allowing individuals to hear again are incredible. The increasing ease of movement for those bound to wheelchairs is ever-evolving or making music available to those who have lost their hearing. The field encapsulates potential, and while there will be difficulties, is there also the potential for the enhancement of the human form as a result creating a gap between “typical” individuals and those with assistive technologies. 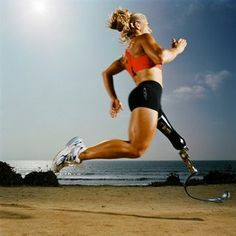 What comes to mind is sprinters with prosthetic devices, are they meant to compete against those with regular legs? If performance is drastically increased, is this fair or equitable? If they can afford it, should they be allowed it? Wealth gap aside, consider even grandiose ideas about the direction of human evolution. Is this wrong? I would argue it isn’t wrong, but we simply compare those with similar technology to others with the same tech? Or is this further segregating us? As always, where is the line? What is a measurable amount of support to be provided to individuals requiring assistive technology? How do we train our educators to be familiar with an ever-changing field? Where do we head next? What about assistive technology for managing teacher stress and workloads? What assistive technologies are available to mitigating stress and workloads for teachers? Online assessment tools help reduce marking – but does the net work put into establishing these translate to better learning outcomes for students? Is there a world in which we tell devices to assess learning of each student, highlighting common difficulties students may experience, or individual anomalies and allow teachers to simply focus on learning support and facilitation? Totally possible. Will that negatively impact what a teacher provides their students or result in “worse” teaching? Assessment tools achieve assessment rules in assessment schools. Wisely choose or be an assessment fool. But what does an educator pick to be ‘assessment cool’? The ECI833 class came to a general acceptance and list of many digital assessment tools that are best used formatively. A large part of my experience with assessment tools, albeit limited, reinforced this belief. I had used Kahoot several times this year with my students but found that if students didn’t have their own device, or some had slower connections than others, it led to a misrepresentation of student understanding and has the potential to leave a small minority of students frustrated. Students may not be as successful with a timer (as I’ve used), and some get so caught up in the competition they will go with a speedy response rather than a calculated one for a chance to be in the coveted “top 5”. Therefore, formative, at best. (Kids love it though, just like in Heidi’s class, lots of excitement throughout the high school with grades nine-twelve finding enjoyment from it). I know that you can shut off the timer in Kahoot, but that takes some of the fun out of the activity for some of the students. In order to try and find a solution to the formative problems, I decided to look into the highly-touted Socrative. Click on create quiz? Done. Created a question? Done (see picture below). Share account ID with a student? Done. Student finishes quiz, I can see immediate feedback. Pros – accessibility and very straightforward. My first quiz from Socrative taken via Screenshot saved with Paint. The biggest challenge was figuring out what the heck Space Race was. Fortunately, like mentioned above, that too was very easy to fire up and use. Upon using “Space Race”, it appears I’ll be able to scratch the competitive itch for my students that may be done by Kahoot as well. If students didn’t not have availability to a device, this may not be as useful, but they do, so no worries! Visually, it is far more professional-looking than Kahoot (no offence meant). For my senior science courses, considering a digital alternative (formative or summative) to paper quizzing, I have every intention of using it. Like any program, there is an incentive to spending money to widen its capabilities (for myself, only $30/year), but the free features are more than enough. You can use images, much like in Kahoot for the question process or combine images with questions. I decided to look up websites that had lists of assessment tools to see how it compared, but most sites had it listed near the top or in the discussion of great tools (even the EduTechChick did)! I avoided the thought entirely of whether or not digital assessment is wise in the classroom. I’ve historically used paper and reading body language for assessing student understanding, and justified it by stating that it “will prepare them for post-secondary”. But not only is post-secondary transitioning in assessment, but some students may not even pursue it. Therefore, maximizing engagement in the school including the assessment practice is likely the most student-oriented approach. Not to mention that these apps also minimize my marking workload with exports to excel and instant data recording. So what more is there to say? It appears to be the next direction I head for assessment in the classroom. I have anticipated student reaction, but have yet to experience it, only time will tell. Unless, dear readers, you provide me with feedback on your experiences! What is your preferred digital assessment tool? Do you think there is still a place for paper and pen assessment as well? Or should we complete a transition to full digital assessment for the sake of engagement? Bear witness to all I have experienced in the connected age. The progression of Web 1.0 to Web 2.0 to Web 3.0 all occurred in my lifetime as I was born in ’89. “We used to look at the web as a place to “look stuff up” (1.0) vs. create/collaborate/connect (2.0)” – Alec Couros, on the evolution of the web. I have evolved alongside it. It began young, growing up alongside a techy, computer-loving father. Fast forward to grade six, when your search engine selection spoke volumes of your personality/popularity. I would use search engines to find tips and tricks on my favourite video games (like the original Pokemon Red, none of this augmented reality madness). Ask Jeeves… Yahoo! (which, personally, is just used for fantasy sports now)… AOL… AltaVista… HotBot (yes, it still works)… and the eventual winner: Google (get out of here Bing). I lived with the doubters of the internet (I’m looking at you, mom). The rise of internet users rose like my height! (I would also argue my capacity for rational and logical thought grew as well, but that’s another debate)! And, alas, here we are. Progressed from the large encyclopedia that was the internet, full of content… to an organic, connected entity enabling critical thought and diversity of opinion on a monumental scale. But what of its influence on me as an educator? Living the amelioration of the internet likely leaves Logan largely linked and inclined to utilize Web 3.0 (more on that shortly, with a little less alliteration). But what is Web 3.0? Heutagogical learning (nice pronunciation in class, Kyle). Self-directed learning. We went from creating, connecting and collaborating (2.0) to letting these creations and connections direct our own learning (3.0). Could this make the teacher obsolete? What about the unmotivated learners? Does the direction a teacher provides mean everything? What does that mean for educators and students? What challenges are presented? Progress and learning to best meet the needs of your learners is always paramount, students with more exposure tend to be more successful and privileged. So with the ever-changing landscape of the web, versatility and lifelong development is your friend as an educator to provide opportunities for exposure. I’ve had students submit assignments using Google Slides, Docs, and email. I could Zoom, Skype Classroom, or Google Classroom for distance learning. I can make PowerPoints using Microsoft PowerPoint, Open Office, Prezi, Scribd, SlideShare or Google Slides again to organize/present my information. I can collect assessment data using Socrative, Seesaw, Kaizena or Kahoot. Or create fun, short informative blurbs using Powtoon or GoAnimate. All the tools presented and proposed in this class are actually a bit overwhelming! There are so many options and yet what feels like so little time to experience all of them. The clock is ticking as I consider how to deliver content in my AP Biology course synchronously as soon as next school year for Prairie South Schools (and SunWest doesn’t offer this, yet! I’ll be a hot commodity). In our meeting October 25th, Jade Ballek mentioned that SunWest even offer classes to international locations such as China… how do they receive funding for this? Do they receive a tuition from Chinese students (what is listed is $500 on the website)? Do they charge more to international students? A colleague/friend of mine, Jeff Boulton, mentioned the potential of offering distance education privately. At $500/student, could I offer a Biology course to 10 students for $5000? And could I even have this class programmed asynchronously so it basically funds me once I complete my initial prep work? And if it’s asynchronous, with automated marking programs, couldn’t I manage well over 10 students? Money? Interesting.It is here that we reach our quandary. Do we sell our educating soul? I possess the ability to offer education to individuals worldwide and potentially receive money to do so. Should I? Would you? Based on my principles and beliefs related to open education and how learning should unfold, I should make my content and work free, which I have, but if I were to actively record instruction and create lessons to educate students worldwide, do I take a “small handout or reward”? Is it okay to? It’s important to note that I believe that every individual deserves an education… so perhaps the solution lies in equity, with affordability to those who can’t and collection from those who can to promote my use and production values? All these questions aside… can I even replicate the Logan Petlak Classroom Experience online? Is the educator I am on a screen the same as that face-to-face? I would argue probably no. Not without active discussion and interaction with students. That’s my favourite part of teaching, getting to work and talk with as well as read and respond to students… is that gone in the distance classroom – even with synchronous sessions (perhaps offered via Zoom)? And does this lend itself to more direct instruction? What about the socialization of being on campus and engaging with other students in the classroom? Many sources will tell you that a cons to distance education is a lack of “student to teacher face time” and “no social interaction”. Digital citizenship: fostering a digital presence and creating a networked learning community. And from that networked learning community, perhaps presents opportunities to collaborate with professionals from around the world to invite to contribute to class sessions (Adam reminded me of this idea with Skype). This stuff you’re teaching Alec is starting to take shape more and more, day by day! What are your thoughts? Does distance education present an opportunity for us as educators to earn beyond our negotiated salary? Do we as educators have a moral obligation to simply provide instruction to all and do this in the most cost-effective way possible? Which learning theory is right? Taking a page out of John Dewey‘s playbook, I feel the need to ‘link sciences’. What is my take on learning theory? Learning as a chaotic, evolving mosaic. I use mosaic in the biological sense, when separate genetics are present together. Substitute genetics for learning theories, and away we go. Much like evolution as a “theory”, they don’t become theory without reputable and verifiable strategies, experiments, and support. 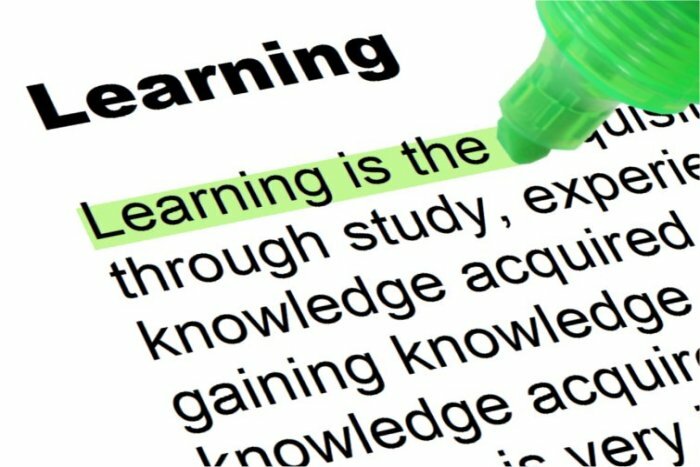 Since so many streams of learning theory hold weight, combining them and treating learning as an evolving and changing process. Let’s allow learning to proceed as a complex science including constructivism, behaviourism, cognitivism, and every other learning theory. Learning occurs through connecting with others who may have different ideas and perspectives than us, through the chaos of diversity. We associate and establish similarities and differences between what we know and seek to learn. We conceptualize and translate texts, tones, and visuals. Everything we learn, builds to the next lesson. Every experience we’ve had, problems we solve, memories we retain, every innate ability and predisposition we have influences how we learn. Reinforcement and punishment influence our perception of how we view it, but even that knowledge and learning is organic and evolves as we reflect. We independently yet dependently learn holistically (physically, socio-emotionally, mentally) and it manifests itself in our society as a mosaic. This particular quote resonated with me and diversity and complexity of learning: “Which theory [or theories] is the most effective in fostering mastery of specific tasks by specific learners?” Adjust and adapt. To lock yourself into one belief of learning theory and deny others seems counter-intuitive, or think it is something clean and linear (like a pyramid). Humanity learns. Ideally, that’s what my classroom would look like. Does it look like that every day? Maybe not upon initial viewing, but it’s rooted in what I do. And it’s constantly changing. Do you agree that learning is hard to classify? It’s worth looking at all the different beliefs on learning. Some may have more evidence than others, but as a connectivist would tell you, even the opinions we don’t agree with have relevance and meaning to learning. – Logan Petlak, lifelong learner.